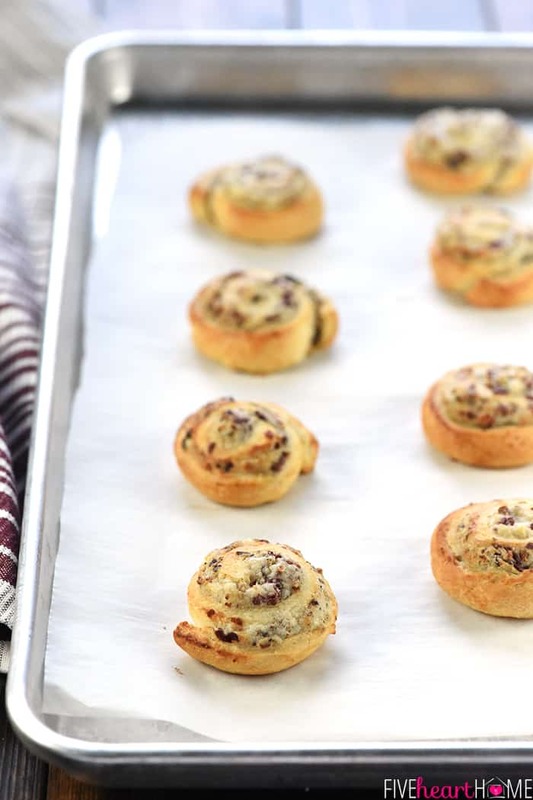 Blue Cheese, Cranberry, & Pecan Crescent Pinwheels feature refrigerated crescent rolls and a flavorful cream cheese filling for a quick and easy appetizer! Happy December, friends! The most wonderful time of the year has officially arrived. 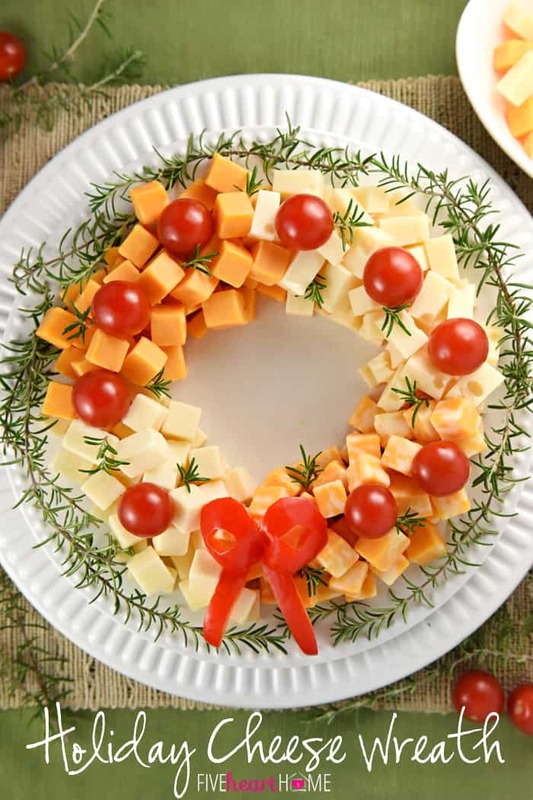 And between all the parties for hosting, marshmallows for toasting, and caroling out in the snow (or blazing sun…pick your poison), I’m willing to bet you’ll encounter an occasion requiring warm, tasty appetizers. 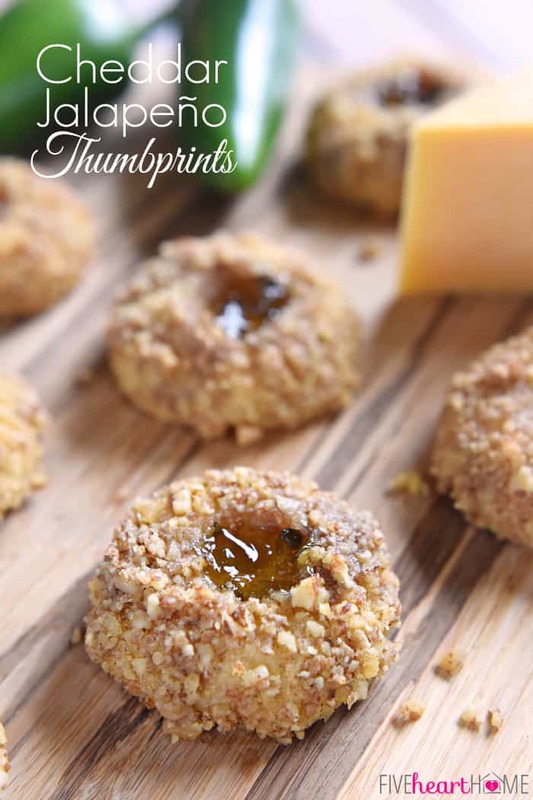 Bonus points if said appetizers are quick and easy to whip up! 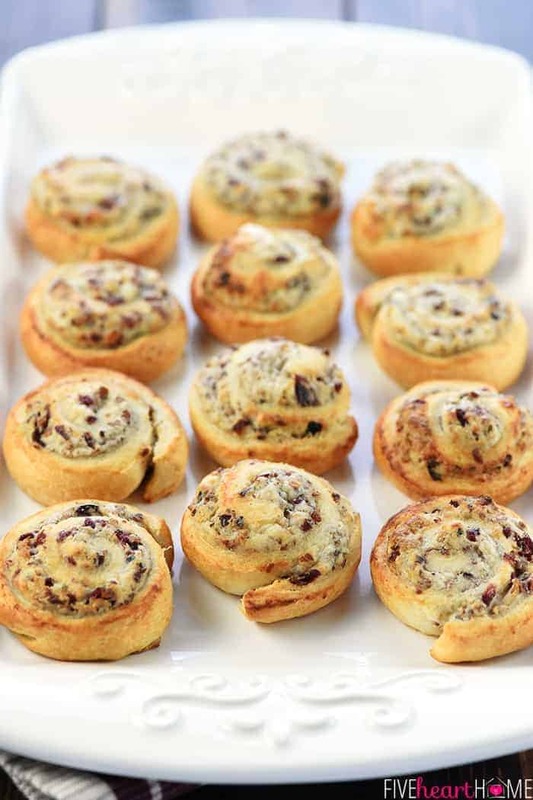 Well, regardless of the weather forecast, these Blue Cheese, Cranberry, & Pecan Crescent Pinwheels should fit the bill quite nicely! 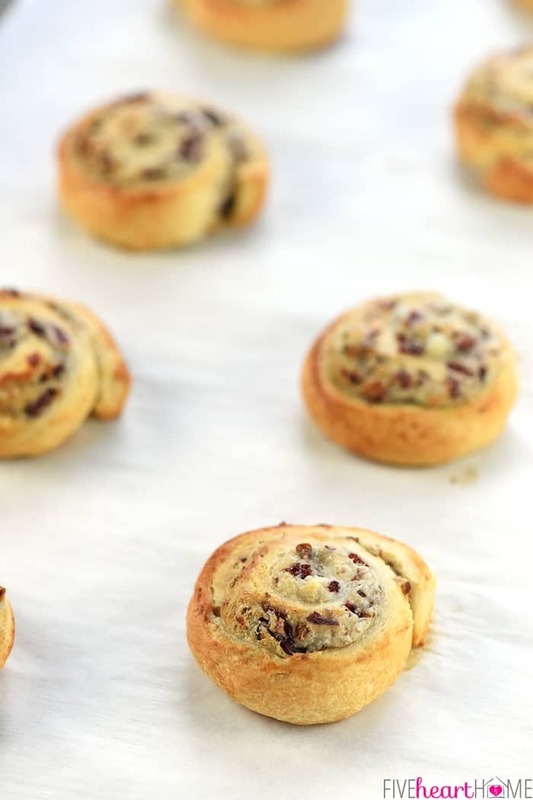 Are y’all already familiar with crescent roll pinwheels? They’re a bit different than pinwheels made with tortillas and served cold. 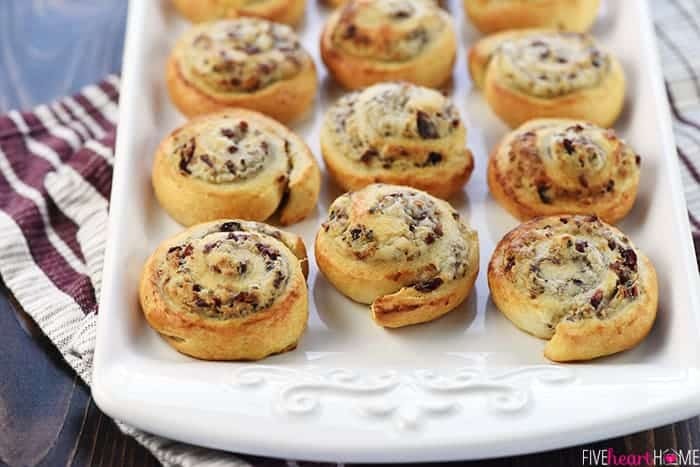 Rather, crescent roll pinwheels start with refrigerated crescent roll dough — I know, shocking! 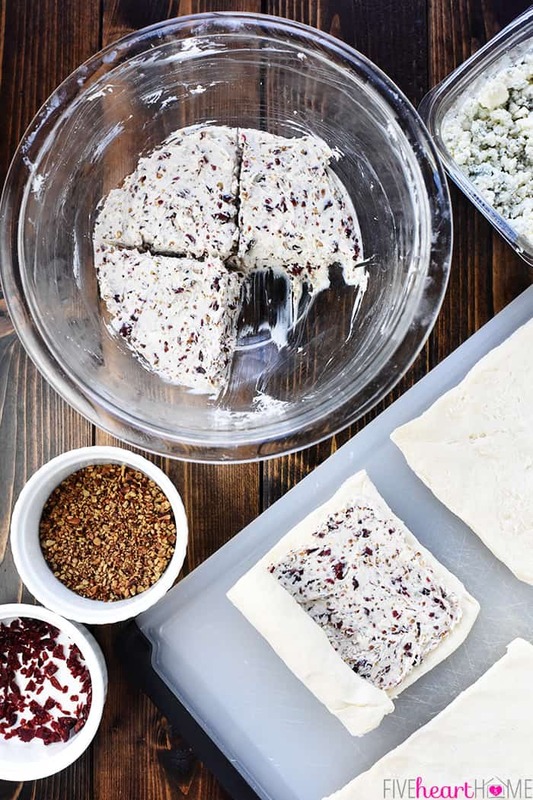 Just like tortilla pinwheels, the dough is spread with a yummy filling, rolled, and sliced. But then, instead of chilling, those slices are baked until puffed up and golden brown. 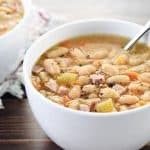 The filling gets all melty and the dough gets all flaky and the final result is delicious, warm, little appetizers that’ll disappear as fast as you can put ’em on a platter! However, the really fun part is how you decide to fill your crescent roll pinwheels. 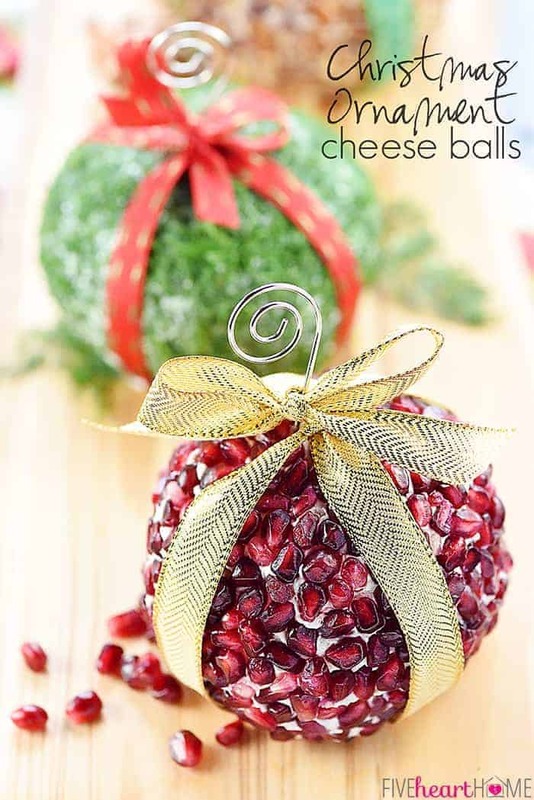 For today’s recipe, I decided to create a twist on one of the most popular appetizers on the site…Mini Cheese Ball Bites, which feature a base of cream cheese studded with blue cheese crumbles and dried cranberries, rolled in toasted pecans and speared with a pretzel stick. 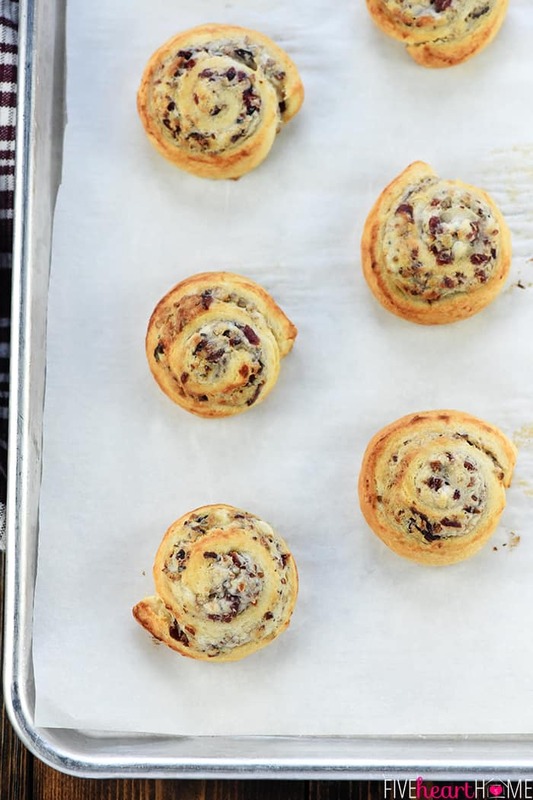 That flavor combo has already proven to be a popular one, so it was no surprise that the same held true for these Blue Cheese, Cranberry, & Pecan Crescent Pinwheels. The zingy blue cheese is nicely balanced by the sweet cranberries, though the cream cheese keeps any one flavor from dominating. Cranberry always reminds me of this time of year, and indeed, these little bites would be perfect for your upcoming holiday celebrations. 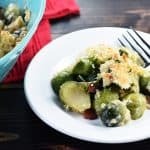 And while festive enough for Christmas and sophisticated enough for New Year’s, this appetizer would also be perfect for any occasion or gathering throughout the year! Have I mentioned how simple they are to make? Simply unroll your crescent roll dough and press pairs of triangles together to form four rectangles. Mix up the cream cheese mixture, smooth the top, and draw intersecting lines with a knife to divide it into fourths. Then scoop out one-fourth to spread on the first rectangle, roll, and repeat until you have four rolls. 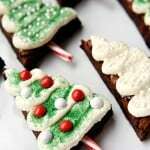 Cut each roll into 6 slices and arrange the pinwheels on parchment paper-lined baking sheets. 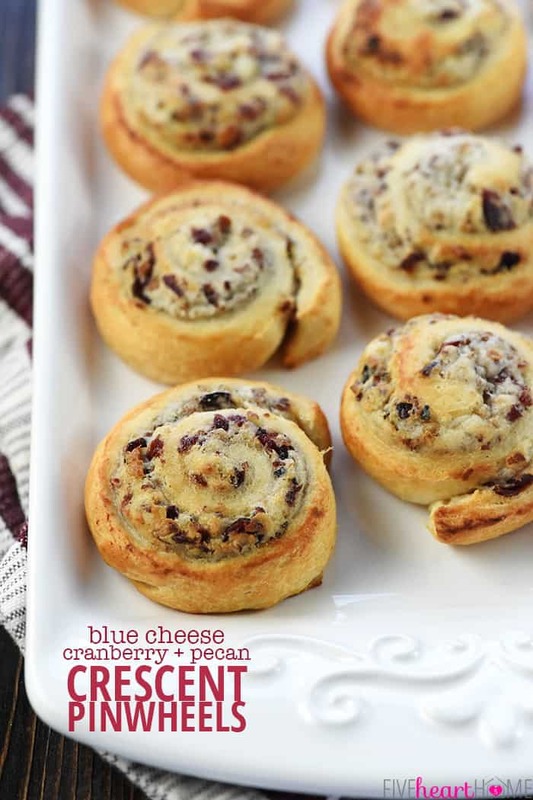 Pop in the oven and, 10 short minutes later, your Blue Cheese, Cranberry, & Pecan Pinwheels will be ready to enjoy! So here’s to December! 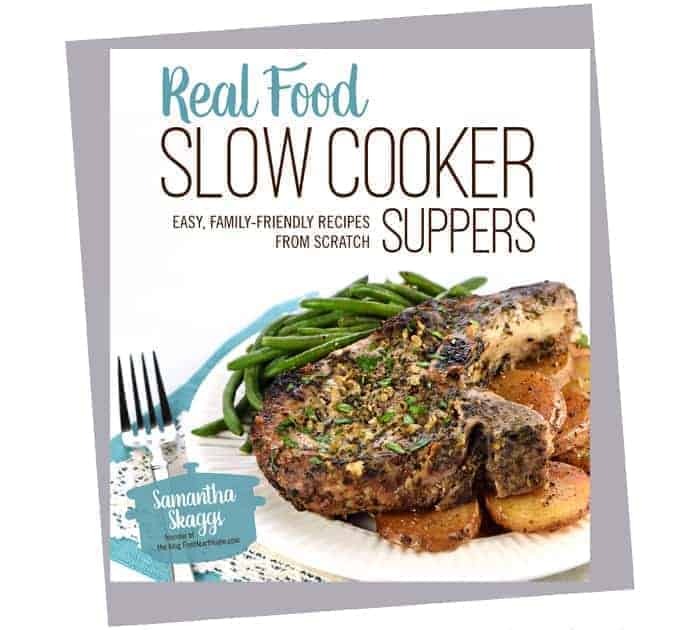 And here’s to yummy, easy little appetizers that’ll be the hit of any party…particularly during this hap-happiest season of allll.? If you don’t care for blue cheese, feel free to substitute goat cheese instead. Be sure to press the crescent roll seams together to keep your pinwheels from unrolling as they rise and bake. Also, slightly flattening the tops of the unbaked pinwheels will help them to bake more evenly. 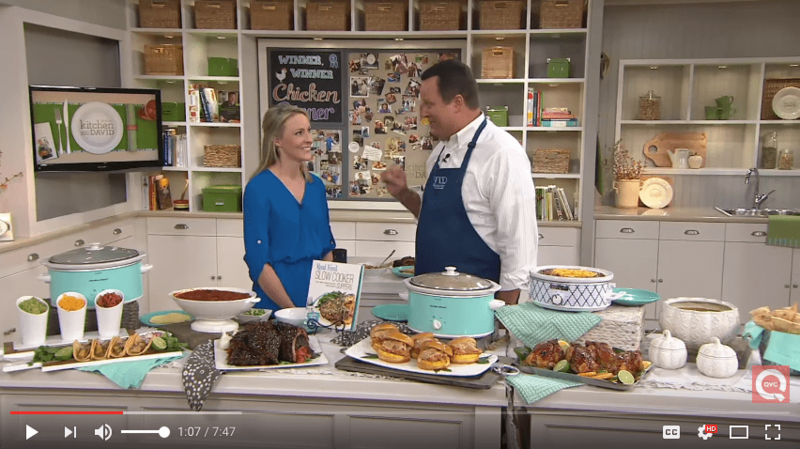 In case you’re looking for all-natural or organic refrigerated crescent rolls, Annie’s and Immaculate Baking Company both make them. These are my favorite large rimmed baking sheets, which I use practically every day. Place rack in center position of oven. Preheat oven to 375°F. Line two baking sheets with parchment paper. 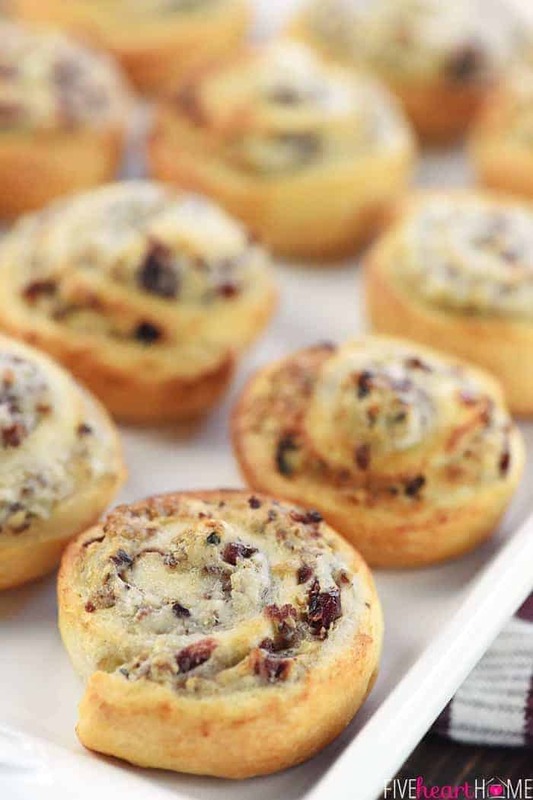 In a medium bowl, blend together the cream cheese, blue cheese crumbles, dried cranberries, and pecans. Smooth the top of the mixture, then use a butter knife to cut a line through the mixture from top to bottom and another line from left to right (thereby cutting the mixture into four even sections). Set aside. Unroll the crescent rolls and separate the dough into four rectangles (each rectangle composed of two triangles). Press the seams together, on both sides of each rectangle, to seal. Place a rectangle on a work surface. Scoop one-fourth of the cream cheese mixture out of the bowl and spread it onto the rectangle in an even layer, leaving a small border around the edges. Starting on a short side, tightly roll the rectangle and then pinch the seam shut. With a sharp knife, slice the roll into 6 equal pieces. Repeat with each rectangle. 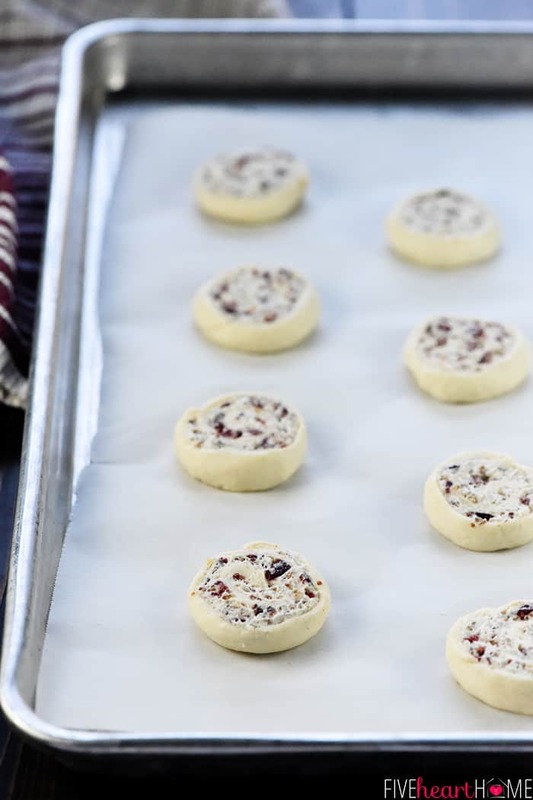 Divide the sliced pinwheels between the two prepared baking sheets (12 per pan), cut sides up, evenly spacing them out to allow for spreading. Slightly flatten each pinwheel with the palm of your hand. 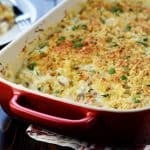 Bake for 11 to 13 minutes or until puffed up and golden brown. Serve warm. 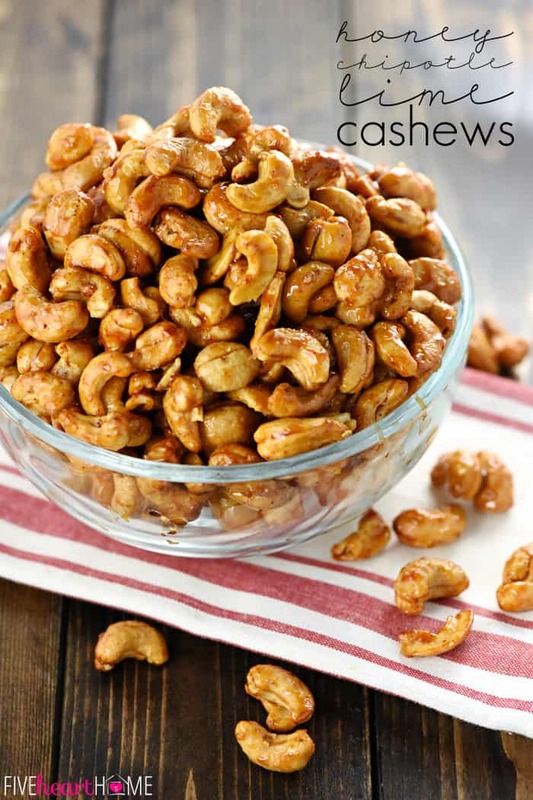 To toast pecans, preheat the oven to 350°. 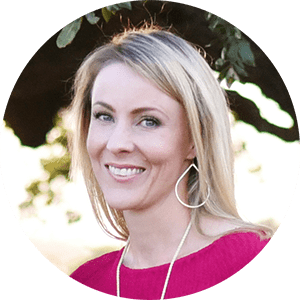 Spread finely chopped pecans on a sheet pan and bake for 4 to 7 minutes or until fragrant and lightly toasted (keep in mind that finely chopped pecans toast faster than pecan halves or large pieces, so watch them carefully to prevent burning). Allow to cool.